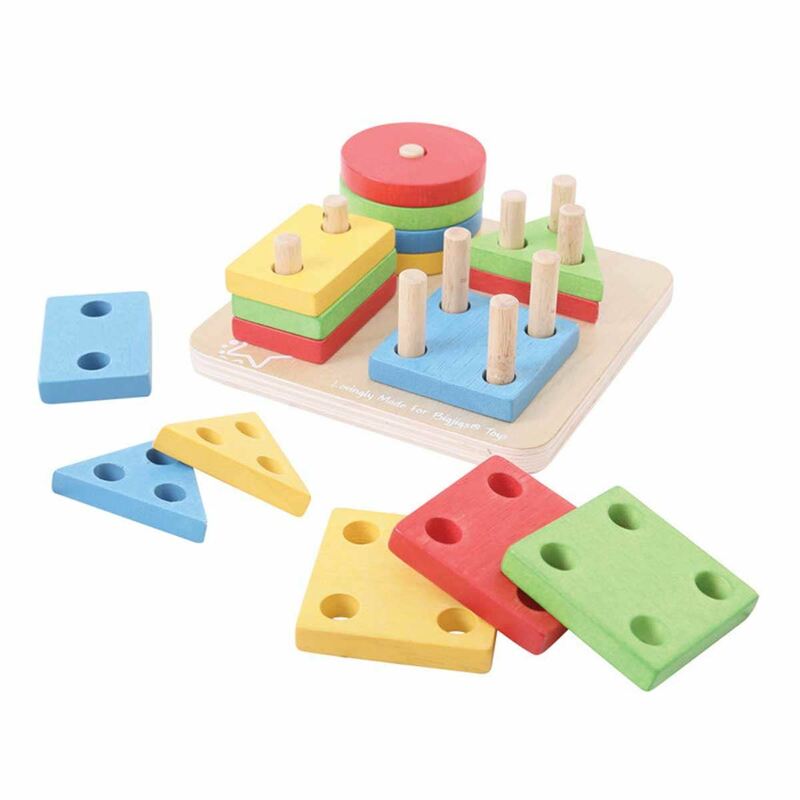 Well made wooden 10 peg board with 16 colourful geometric designs to teach shapes, counting and colours. 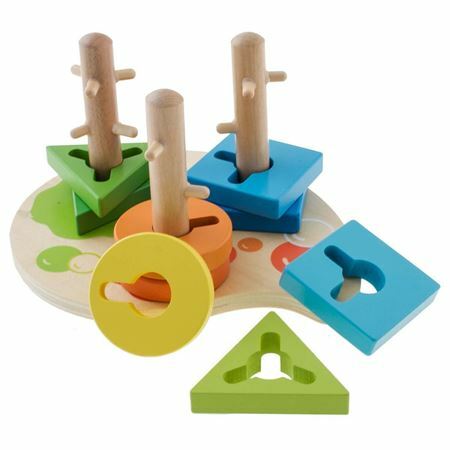 Ideal developmental toy for children to sort and stack the wooden pieces on the correct number of pegs. 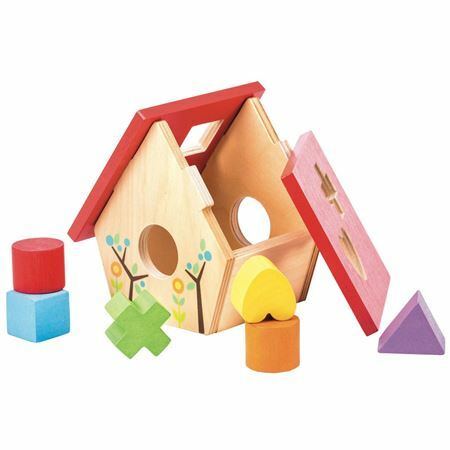 Wooden shape sorter in the shape of a bird house with six wooden shapes for sorting! 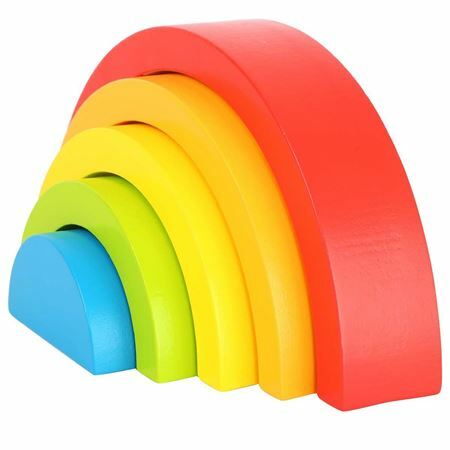 Five piece wooden rainbow, to put together in order or make patterns with. Smile please! 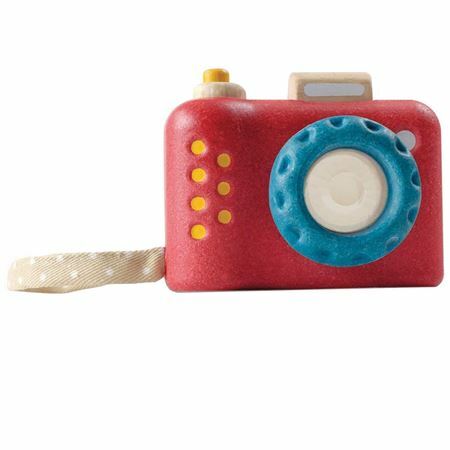 The perfect little camera for little hands to hold with a moving lens that creates a kaleidoscope when you look through it!